This Stainless ID Charm can be engraved and attached to your bracelet a bracelet made from your own horses hair. 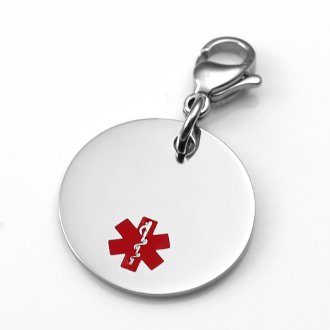 Create a life-saving, one-of-a-kind accessory. Charms with lobster clasps are easily interchangeable. Weight: 0.07 oz. / 2 g.
Copyright © 2014-2019 Active Equine. All rights reserved.